Summit White 25/30 City/Highway MPG Priced below KBB Fair Purchase Price! 2019 Chevrolet Equinox LT 1LT 4D Sport Utility AWD 6-Speed Automatic 1.5L DOHC AWD. 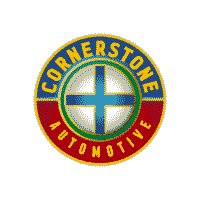 Cornerstone Commitment offers new and used vehicle benefits and the YOU+ Service Plan. We are passionate about what we do and are committed to your Peace of Mind. Recent Arrival! Nightfall Gray Metallic 25/30 City/Highway MPG Priced below KBB Fair Purchase Price! 2019 Chevrolet Equinox LT 1LT 4D Sport Utility AWD 6-Speed Automatic 1.5L DOHC AWD. Cornerstone Commitment offers new and used vehicle benefits and the YOU+ Service Plan. We are passionate about what we do and are committed to your Peace of Mind. Blue Metallic 22/28 City/Highway MPG Priced below KBB Fair Purchase Price! 2019 Chevrolet Equinox LT 2LT 4D Sport Utility AWD 9-Speed Automatic 2.0L Turbocharged AWD. Cornerstone Commitment offers new and used vehicle benefits and the YOU+ Service Plan. We are passionate about what we do and are committed to your Peace of Mind.